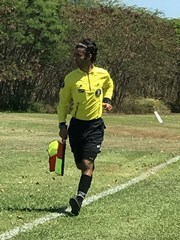 Instruction material from recent FIFA World events & FIFA Futuro - with the emphasis on the Assistant Referee perspective. RCE with intermediate and advanced topics. These RCE's count for required hours for those in the upgrade process grade 7 to 6 and grade 6 to 5. Event is open to all referee grades.